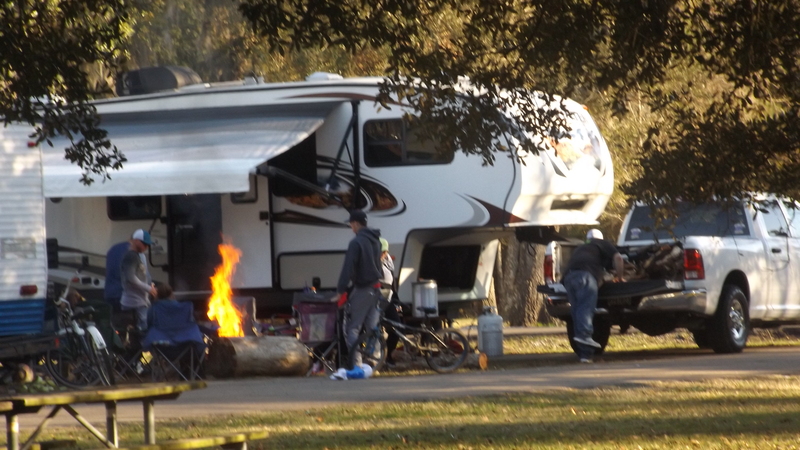 This week marks our fourth winter in our first campground, Fontainebleau. This big Mandeville park fills up with both kinds of people: those coming to see Mardi Gras, and those trying to escape it. The clientele is mostly locals, by and large a colorful lot, with hooligans sprinkled in here and there. Hooligans! With a gasoline and wood fire! 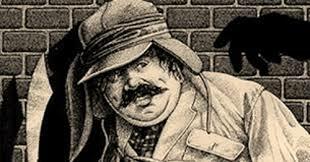 A fellow with a big beard, wearing an Ignatius J. Reilly cap (A Confederacy of Dunces) and black and pink leopard spot pajama pants strolled into the shower house just yesterday. Cajun and New Awlins accents at liquored-up volumes precede and follow raucous laughter all over the campground day and night. Dress of the day is camouflage and manly footwear (boots), even on the women. School is out and the kids feel right at home here by the ruins of an ancient sugar mill. Our first urchin-on-a-bike sighting came at 7:15 a.m. followed by the first squealing-kid-on-a-bike at 7:20. There’s lots of meat grilling even though it’s cold, and while walking Pink I heard three different hat acts on competing radios. The local news channels can’t talk enough about Carnival. 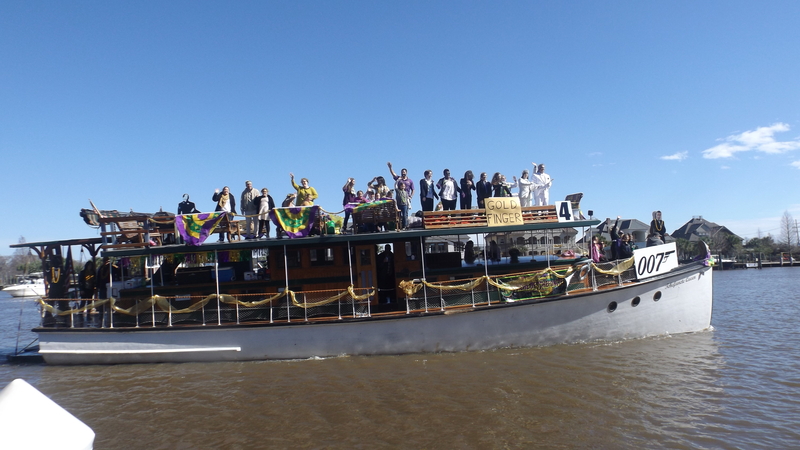 Saturday morning we learned that New Orleans police had confiscated handguns from nine revelers Friday night. Why would anyone bring a pistol to a parade? Kat says “To get more beads!” We attended the boat parade in Madisonville and caught so many trinkets I felt stupid. 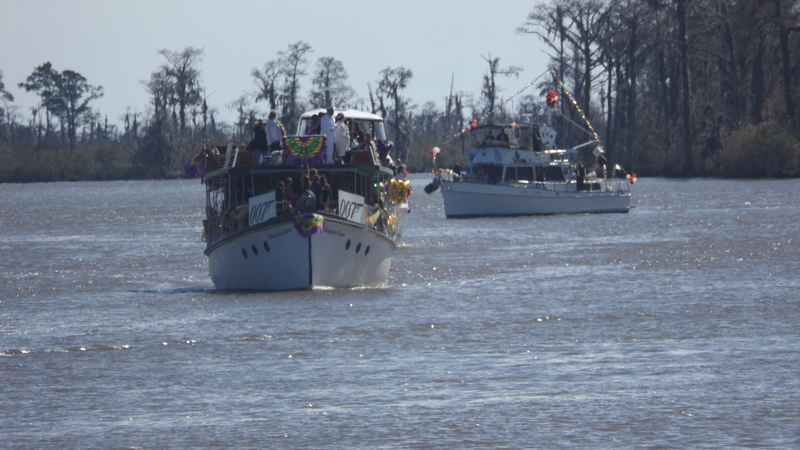 The boats ranged from party barges to yachts parading down and up the Tchefuncte River. 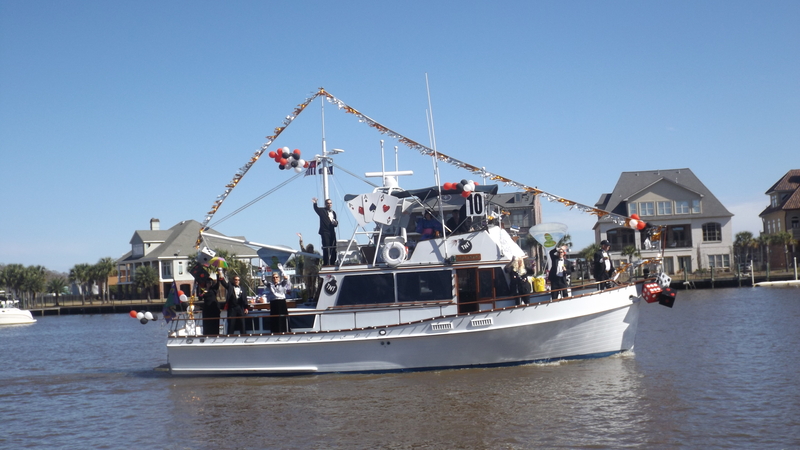 At the end the krewes moored their boats so the bead-seekers could wander alongside, waving and shouting in search of the catch of the day. 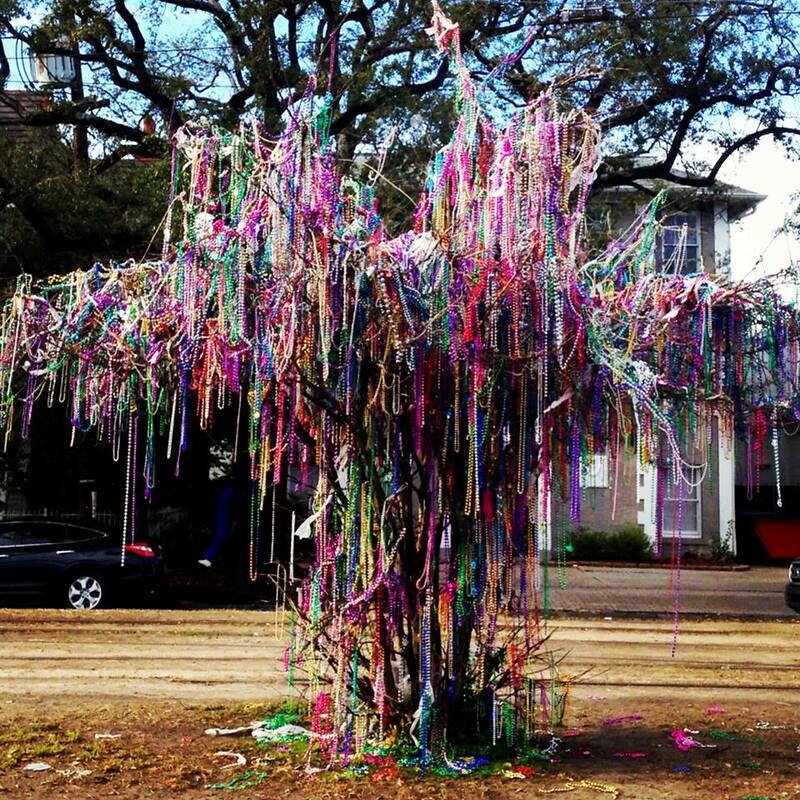 Unlike the big city Mardi Gras nobody seriously misbehaved; it was just good clean fun. Fontainebleau’s bad country music scene made me crave the good stuff. We hooked up Pandora to our Airstream’s sound system and wouldn’t you know, out comes David Allan Coe! He’s playing You Never Even Called Me by My Name, billed as The Perfect Country Song by its composer, Steve Goodman. Yep, the very same Steve Goodman who wrote Ridin’ on the City of New Orleans. The Perfect Country Song features love gone bad, lots of standing in the rain, and requires solid vocal impressions of Waylon Jennings, Charlie Pride, and Merle Haggard. Even so, Coe told Goodman it was far from perfect: there was no mention of Mama, trucks, prison, trains, or gettin’ drunk. Goodman complied by adding a verse to meet those specifications to pen one of Coe’s biggest hits. If you want to do karaoke with it, hold your mouth in a big circle while you sing the lyrics ascribed to “Chorly Pryed”. To do Merle you gotta tighten your lips down on your teeth, keep those choppers close together, and sing from the back of your head. For Waylon? Ah, you’re on your own.